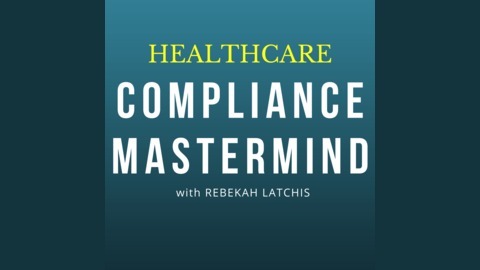 The Compliance Mastermind podcast is a weekly show designed for healthcare compliance professionals where the goal is to provide inspiration, strategies, and tips for your healthcare compliance program and your career. 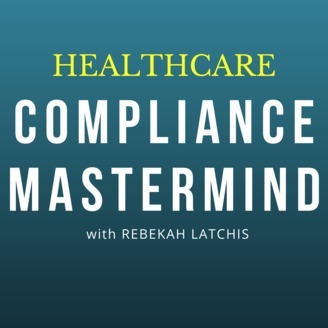 Host Rebekah Latchis will cover everything from the Medicare Shared Savings Program, to productivity, to compliance best practices, to leadership, and everything in between. Rebekah is a lawyer turned compliance officer with over 16 years experience in health care compliance. Today I am talking with T.J. Ferrante. T.J. is senior counsel and a board certified health care lawyer with Foley and Lardner. I asked T.J. to come on the show because he is an expert in the legal and compliance issues associated with telemedicine. The use of telemedicine has exploded over the last few years and I think these issues will be relevant to so many of us in compliance. Remember to subscribe to the show! Disclaimer: On this podcast I speak only for myself and what I share are the opinions of me alone. My guests also speak for themselves only and do not represent the opinions of their firms or organizations. All content provided on this podcast is for information purposes only. Neither I or my guests make any representations as to the accuracy or completeness of any information on the podcast or in the show notes. This podcast should not be used in any legal capacity whatsoever. Please consult a qualified attorney before taking any action that could have legal implications to you or your business.